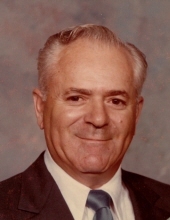 Joseph S Stanga, 90, of Mansfield, passed away Sunday, March 3, 2019 at Shelby Point. He was born September 21, 1928 in Romania and was the son of Barbu and Ioana Stanga and his family came to the United States in 1956. He began working at Consolidated Freightways as a highly skilled diesel mechanic in Mansfield. He then opened up his own one-bay garage on Ashland Rd. and as his business grew he built his own four-bay garage in Ontario, Ohio. He later sold his business and retired. Joseph was a member of the Mansfield Liederkranz for 61 years where he had many ethnic German speaking friends and family members that would gather and celebrate their cultural heritage. He and his wife enjoyed dancing there for many years. He played soccer in his youth and was very active in Liederkranz youth soccer. He had a love for fishing and would spend many weekends fishing on Lake Erie. He was also a member of the Sons of Herman and St. Mary of the Snows Catholic Church. Joseph loved his family very much, especially his wife Elisabeth, who preceded him in death. He was very funny, active and he very rarely was ever sitting still. He is survived by three grandchildren Monica (Hansjurgen) Boehm, Joseph (Kristy) Puhl and Anita McClellan; three great-grandchildren Elisabeth (Kristin) Hailey-Bidlack, Austin Bidlack and Jonathan Puhl; step granddaughter Jolie Booker; great great-granddaughter Emma. Friends may call at Herlihy-Chambers Funeral Home, 173 Park Ave. West, on Friday from Noon until 2pm when a funeral service will be held with Fr. Gregory Hite officiating. Burial will follow in Mansfield Catholic Cemetery. To send flowers or a remembrance gift to the family of Joseph Stanga, please visit our Tribute Store. "Email Address" would like to share the life celebration of Joseph Stanga. Click on the "link" to go to share a favorite memory or leave a condolence message for the family.